Liz Middleton is a sculptor and stone letterer. She studied Fine Art and recently graduated from the C&G of London Art School where she was awarded the Masons' Company Prize for 'Outstanding Work' and selected for the 'Clyde & Co Art Award' and the 'FBA Futures' exhibition at the Mall Galleries. [Threads] is about picking up the threads of a shared endeavour with her grandpa who attended the same school 80 years before. His training halted for WWII, his overcoat is suspended, unfinished in stone exposing the joyous courage and pursuit of skill, and fragility of ambition. 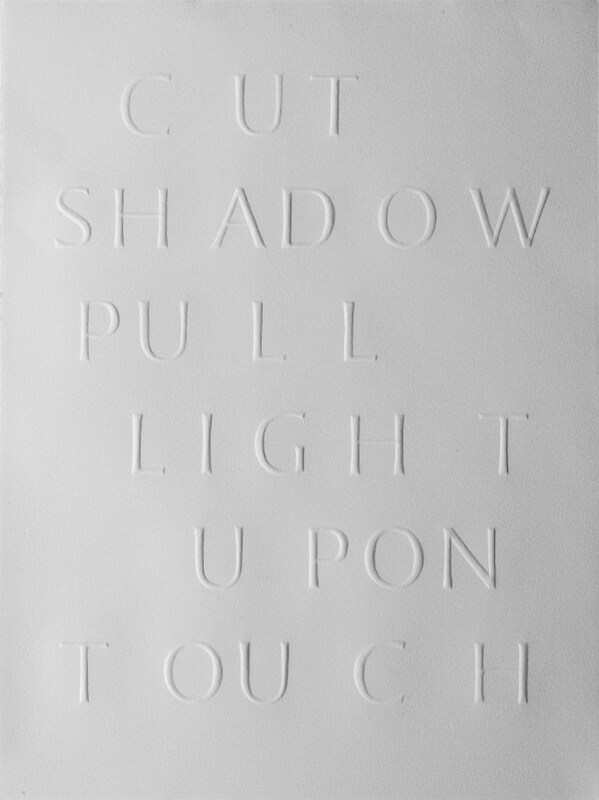 [Cut Shadow] is a haiku about carving stone.